Highly qualified and experienced Vitreo Retina Surgeon. He finished his MBBS from well known V.S. Hospital in 2011 and M.S Ophthalmology from Nagri Eye Hospital, Ahmedabad in 2015. He pursued and finished his long term fellowship in field of Vitreo retina from well known Giridhar Eye Institute, Kochi, Kerala in 2017 under renowned Vitreo Retinal surgeon Dr. A. Giridhar (President VRSI). During his tenure he had 3 international publications in reputed journals like Retina, Ophthalmology Retina and IJO and 2 publications in state journals. He has presented multiple papers and posters in various renowned national and international conferences. He has keen interest and experience in performing macular surgeries , Retinal Detachment surgeries and for diagnosis and management of Retinopathy of prematurity which is one of the major factors of morbidity in Paediatric age group. He has vast experience in treating Diabetic Retinopathy and Age related macular degenerations which major causes of blindness in adults. He has experience of working on all latest diagnostic modalities and management armamentarium like micropulse laser OCT Angiography and photodynamic therapy. He is ready to serve the society with his experience and knowledge in field of Vitreo Retina. 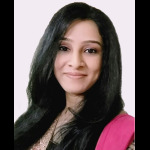 Dr Meera Shah, a young and energetic eye surgeon, specialised in vitreoretinal surgery works with Dr Thakorbhai V Patel eye institute since 2015. She has completed her MBBS and MS from Baroda Medical College MS University with gold medal in ophthalmology. She completed two years of long term fellowship in VR surgery from Thakorbhai V Patel eye Institute, following which she joined as a consultant. She has a very keen interest in Academics and has attended various state and national conferences. Besides her excellent academic and clinical skills, she shares a great rapport with her patients and is utmost sincere towards patient care. Her area of interests include screening and management of diabetic and hypertensive retinopathy, macular pathologies, Age related macular degeneration and uveal pathologies.Her expertise in surgical skills include Retinal detachment surgeries, macular hole surgery, diabetic vitrectomy, scleral fixated IOL and post trauma emergencies. 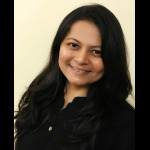 Dr Mita I Thakker is our consultant in pediatric ophthalmology and strabismus .She has completed her M.S ophthalmology from Nagri Eye Institute,ahmedabad and has taken extensive training in pediatric ophthalmology and strabismus from Dr thakorbhai Eye Institute.she has many national and international papers and publications to her credit. 3) Pediatric cataract,pediatric glaucoma and lazy eye(amblyopia) treatment. Dr. Bhushan Patil is a comprehensive ophthalomologist and managing cataract and glaucoma patients in our hospital. He passed his M.S. Ophthalmology from Rural Medical College, Loni ,Maharashtra in May-2015. Then , he had completed his long-term fellowship in “Anterior segment and Phacoemulsification” under the guidance of renowned cataract surgeon Dr. Rupa Jain in our institute. Till now, he has operated some 2500+ cataract cases, including phacoemulsification, Laser assisted cataract surgery (FLACS) and TORIC IOL . He also has keen interest in managing glaucoma patients and doing phaco with trabeculectomy surgery. He is also doing pterygium surgery with autologus conjunctival graft. He is a part of Alcon Phaco Development Programme since 2016. He has published articles in various medical journals and presented papers in conferences. 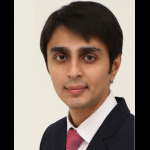 A young and hard working surgeon has joined our team since April 2015, earlier as a fellow and now as a full time consultant at Dr. Thakorbhai V. Patel Eye Institute, Vadodara. 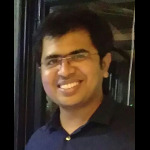 Dr. Somil Jagani completed his MBBS from Bharati Vidyapeeth Medical College (Pune) in 2011, followed by MS - Ophthalmology from Dr. D. Y. Patil Medical College (Pune) in 2015. 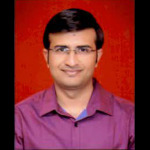 Dr. Jagani has done a short-term fellowship in SICS at Laxmi Eye Institute (Panvel, Mumbai), and a long-term two year fellowship in Anterior Segment and Phacoemulsification here at Dr. Thakorbhai V. Patel Eye Institute, Vadodara. During the course of his studies, Dr. Somil showed tremendous dedication towards his publications in various International Journals of Ophthalmology, and also added to his credit 3 scientific presentations at various National Level Medical Research Conferences. Since joining our team in 2015, Dr. Somil has performed over 2500 Phacoemulsification Cataract Surgeries, has become well-versed with Laser Assisted Cataract Surgeries (LenSx), and has successfully handled various difficult and complicated cases in all types of Cataract. Along with this, Dr. Somil also performs combined Phaco-VR Surgeries alongside our excellent and highly qualified Vitreoretinal team. Apart from this, Dr. Somil routinely performs Pterygium Surgeries with glue. He also conducts Surgical Training and Skill enhancement under Alcon Phaco Development Program (PDP). Having him as part of our team enhances our ability to provide quality service to a wider range of patients and takes us a step forward towards achieving our goal of providing excellent medical and surgical treatment in the field of eye health. 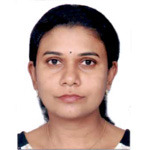 DR Kavitha mani is well qualified experienced surgeon managing orbit and oculoplasty unit. she passed her doms from banglore medical government college in year 2005 and worked has opthalmic consultant till year 2009 and than percieved here SEC DNB 2009-2010 from DR TVPEI, vadodara. she was phaco surgeon in vasan eye care, Bangalore year 2010-2013. Did her long term fellowship in orbit and oculoplasty under Dr ishan acharya year 2014-2015 at DR TVPEI, vadodara.Was trained for endonasal DCR at tilganga institute, katamendu,nepal. she was invited has guest faculty and chairperson by global eye conference singapore in year sept 2016 to deliver a guest talk on "Endoscopic Guided Membranotomy in paediatric NLD block". was invited has guest faculty at nepal ophthalmological society for a talk on "Levator resection in poor lecator function, sharing surgical experiences". Invited has chair person by banaras university conference to chair a session on "Role of proponalol in Haemangioma and its challenges". keep thriving to learn something new everyday, that will ultimately benefit your patients is always been her motto.